The Members Spring Bank Competition was a fiercely fought battle on a great day enjoyed by a good number of Members. Thanks to all members for taking part and making the day a success. 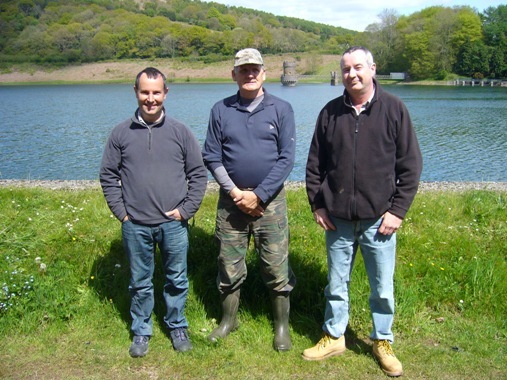 The triumphant winner was Dave Wells with 13lb 1oz (centre of photo). 2nd was Derek Elson with 12lb 3oz (left of photo). 3rd was Julian Jones with 11lb 13oz (right of photo). Well done Dave and thanks to all entrants and organisers for making it another memorable competition day at the reservoir. As a reminder, the Autumn Competition date is Saturday 15th September. Put it in your diary!